Panchamrut literally means "Panch - five; amrut - nectar". In Hindu traditions, panchamrut is a very important component during pujas. It is used to bath the deities and the remaining is distributed as a blessing to all. 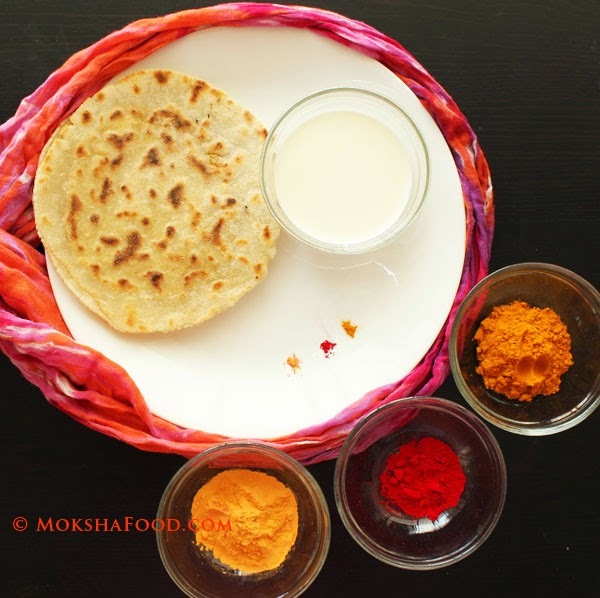 It is usually made by adding a spoonful of yogurt, ghee, honey and jaggery in a glass of raw milk. It is mixed together till well combined. A spoonful of panchamrut is given to everybody at the end of a puja. Most kids including me loved this sweet slightly tangy drink. Since I was the youngest in my family, I would eager wait till panchamrut was served to all as I could devor the remaining. My daughter now follows this tradition andcant wait to drink it all up! 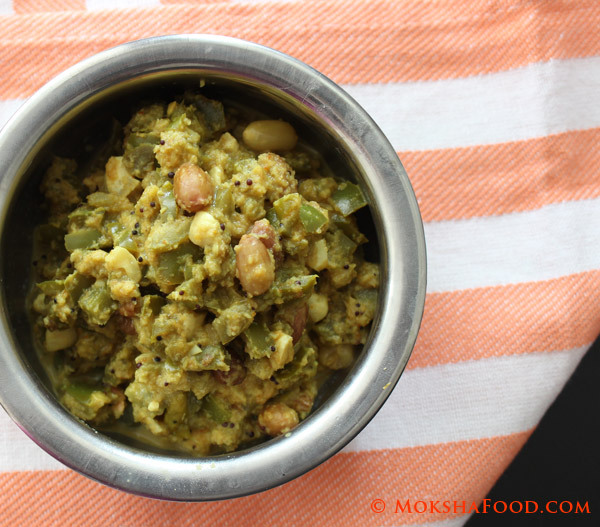 Panchamrut also shares the name with another recipe- a bell pepper stir fry made in Konkani homes during the auspicious Ganesh Chaturti festival. Green Bell peppers are cooked with nuts in a tangy-sweet spicy coconut sauce. Its a dry preparation served as a side. 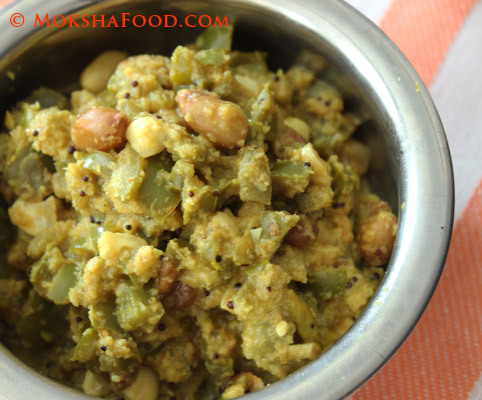 It is one of the 21 dishes made to be offered to Lord Ganesha. Heat a tbsp. of oil in a saucepan. Temper with mustard seeds and asafoetida. After the seeds have crackled, add chilies and green bell peppers. Close the lid and let it cook on low heat in its own juices. In another small pan, add a tsp of oil ans roast the coriander seeds. Once they have changed color and smell fragrant, keep aside. In the same pan, toast sesame seeds. Keep aside. 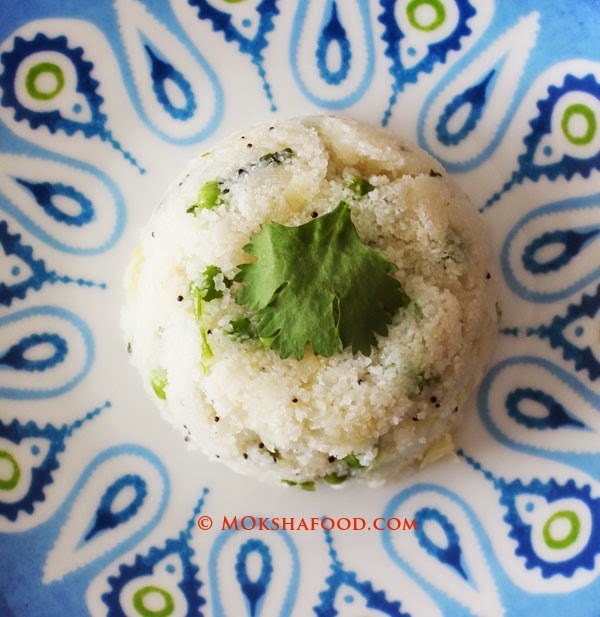 Add grated coconut to the same pan and roast till color changes. Cool down everything and grind together the coconut, coriander seeds, sesame seeds, tamarind, turmeric pdr and red chili pdr. Add the peanuts and cashew nuts to the bellpeppers and continue cooking for some more time. Add little water if you feel the pan is getting too dry. Add the ground paste, jaggery and salt and simmer the gravy for 10 mins. Taste to balance the flavors. The stir fry has sweet spicy tangy flavors with a crunch of the nuts. 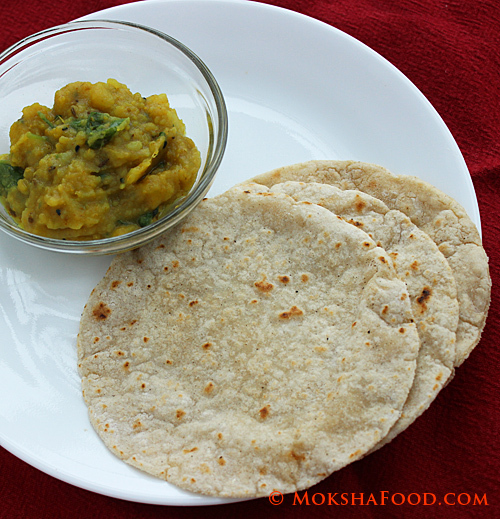 Serve as a side with rice and dal or with chapattis.